With all the excitement surrounding Firefox 3.5, it may have escaped your attention that PHP 5.3 has also been released. This is the most significant update since version 5.0 and several features that were originally scheduled for version 6.0 have been slipped into the build. You’ll be hearing about these on SitePoint soon but, first, we need to install PHP 5.3 on our Windows development systems. PHP 5.3 is new and you may experience some problems (see below). 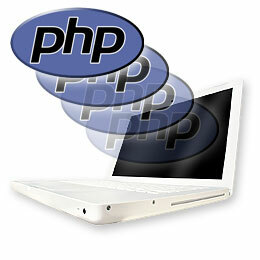 If you already have a stable PHP environment, ensure you keep a backup of your current php folder and settings. If you have not installed Apache, refer to How to Install Apache Web Server on Windows. Optionally, you can also install the MySQL database — refer to How to Install MySQL. Windows PHP distributions are now available from a dedicated microsite at http://windows.php.net/download/. The choice is a little bewildering and the instructions are vague but, since we will be installing PHP as an Apache 2.2 module using the Apache Lounge build, so you should download the VC9 x86 Thread Safe Zip file. E_DEPRECATED warns you about code that will not work in future versions of PHP. Very useful. In my experience, the majority of messages report that a time zone has not been defined and assigning a return values using new by reference is deprecated. Unfortunately, applications can display so many minor errors they become impossible to use. You can disable the new error directives by setting the error_reporting value to "E_ALL & ~E_DEPRECATED" on line 514 of php.ini and restarting Apache. However, several web applications, including WordPress, define their own error_reporting settings and may continue to show messages. It will take a developers some time to upgrade their applications to full PHP 5.3 compatibility. Have you installed PHP 5.3 successfully? Have you experienced any major issues or problems with existing code?